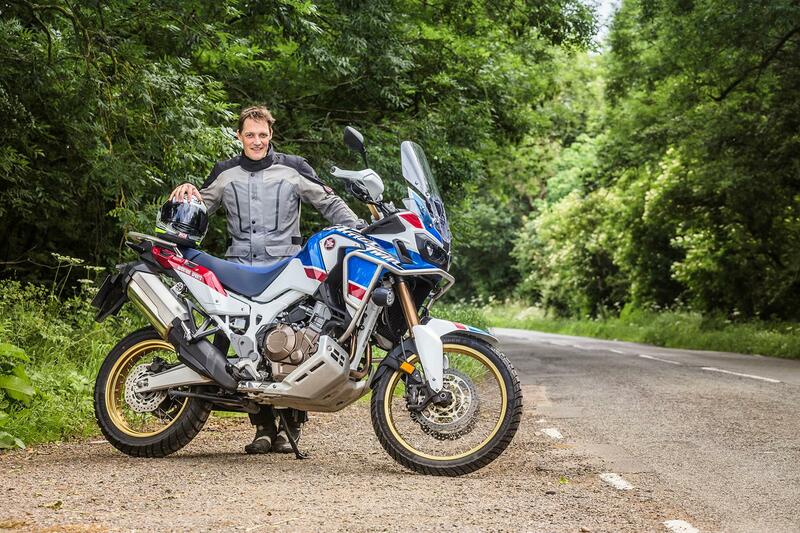 Having enjoyed significant sales success since it’s re-birth in 2015, the Honda Africa Twin has now undergone it’s first round of serious upgrades in a bid to improve and keep up with the competition. 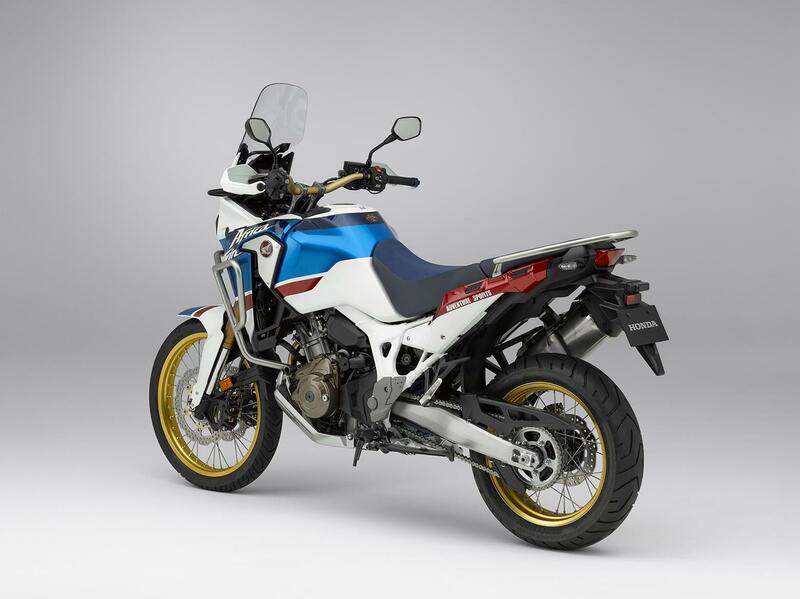 The 2018 Honda Africa Twin Adventure Sports fuel tank over the standard Africa Twin (2018 and 2016 model) increases capacity from 18.8l to 24.2l. 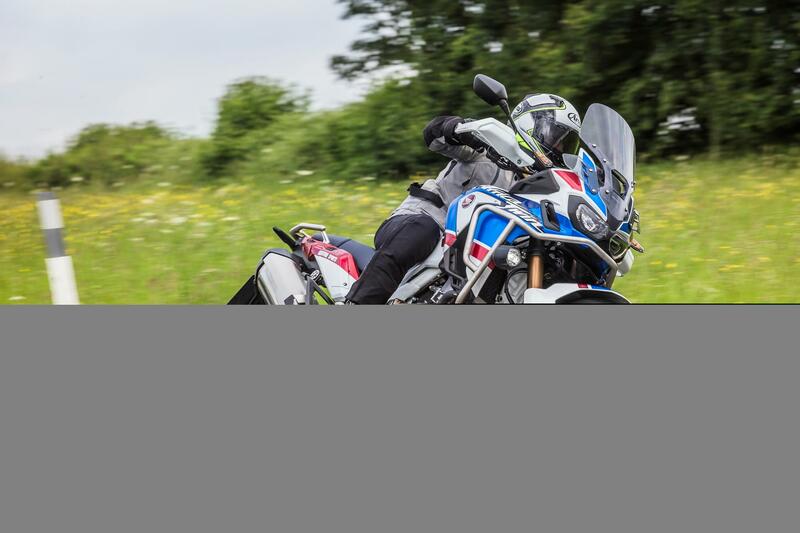 Not only does it give the bike significantly more presence on or off the bike due to its extra width, it increases the tank range to a theoretical 300+ miles placing it firmly among the adventure bike class’s grand tourers. The bigger tank of course means more weight with the Adventure Sport now topping the scales at 243kg (wet) despite a 2.3kg saving thanks to a new lithium-ion battery. But with improved suspension, fully adjustable 45mm Showa front forks, you don’t feel the extra mass. In fact, it feels more balanced than the original bike with the forks operating higher up in their stroke meaning there is less dive and weight transfer when you close the throttle or hit the brakes. This in turn makes it more fun to ride and enables you to make brisk, easy progress on twisty roads. It’s an impressive achievement given that the new bike has an additional 20mm of suspension travel both front and rear in a bid to further enhance its off-road performance. Ground clearance is up 20mm to 270mm. The 310mm twin brakes give good feel and solid performance with the limiting factor in hard braking down to the significant dive of the forks and grip from the narrow front tyre. There is only one ABS setting for all conditions, which performs well, but becomes a little intrusive off-road. The rear wheel ABS can be turned off by simply holding down a button when riding off-road. The evocative exhaust sound note is backed up by a super linear power curve, but claimed power of 94bhp remains the same as the original model. Ridden solo it’s an engaging ride with all its power and torque being easily accessible, but the power is no match for it’s 1200cc+ BMW, KTM, Triumph and Ducati rivals, putting it instead among their smaller siblings such as the BMW F850GS and Triumph Tiger 800 in the power stakes. But it is powerful enough to make easy, brisk progress and requires minimal effort whatever the terrain. The only time that it ever feels lacking is when you start to load it up. Add a pillion and some luggage and you’ll be forced to make a lot more gear changes especially when overtaking. 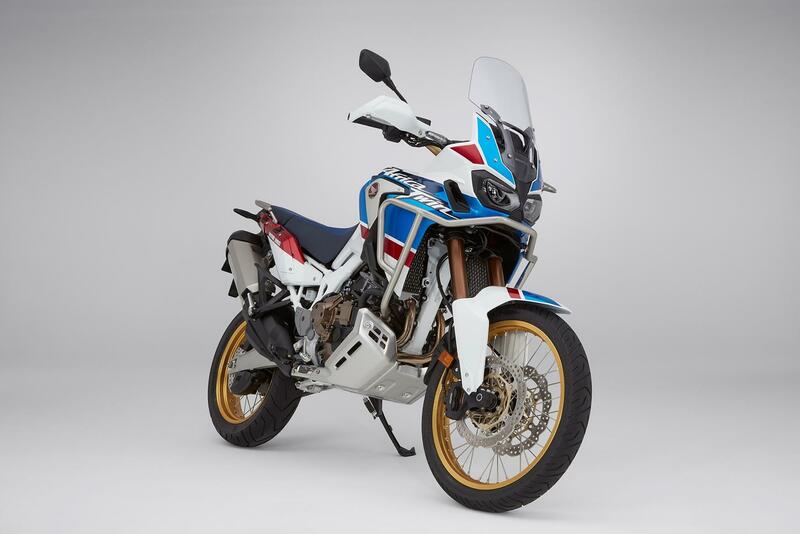 As Honda’s flagship adventure bike, it certainly looks the part and it’s colour scheme and paint quality certainly means it looks the part. Being a Honda everything works as intended, the switch gear is all well positioned and some of the gremlins of the original bikes including corroding spokes have been resolved. 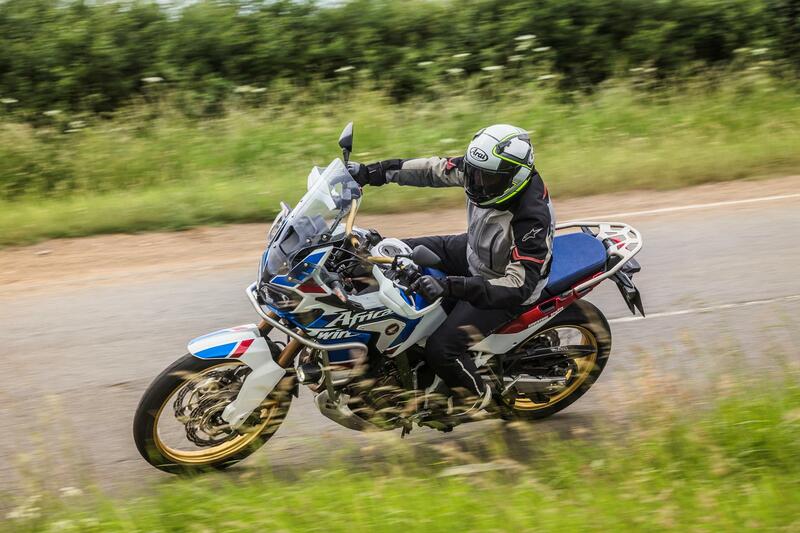 With fuel consumption over 50mpg even at motorway speeds the Africa Twin is reasonably frugal. It’s lack of big bhp means it doesn’t destroy tyres, but it’s significant weight of 243kg does mean that tyres do square off if you’re doing a lot of motorway miles. 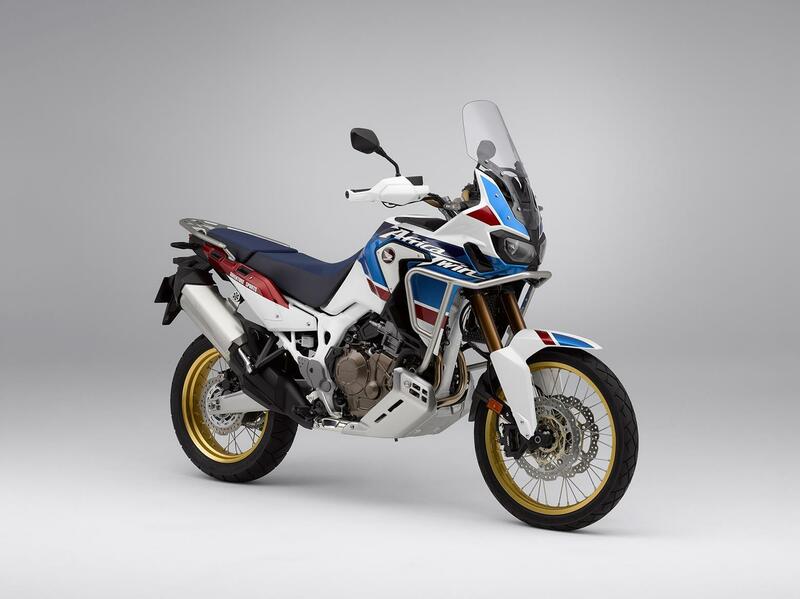 When released, the bike was priced at £12,599 the Africa Twin, which was competitively priced and in line with its rivals. The new throttle by wire electronics not only gives an improved throttle connection that allows you to feel every beat of the 998cc parallel twin 270 degree crank motor it has also allowed the Honda engineers to enhance and add more rider aids. The original three stage traction control now has seven stages and you can also control the amount of engine braking and power level. All of these options are packaged into to three different rider modes – Tour, Urban and Gravel. There is also a User setting which enables the rider to easily adjust and tailor their preference to suit their riding. It also comes complete with a quickshifter and autobliper. Front suspension Showa 45mm cartridge-type inverted telescopic fork with dial-style preload adjuster and DF adjustment, 230mm stroke. 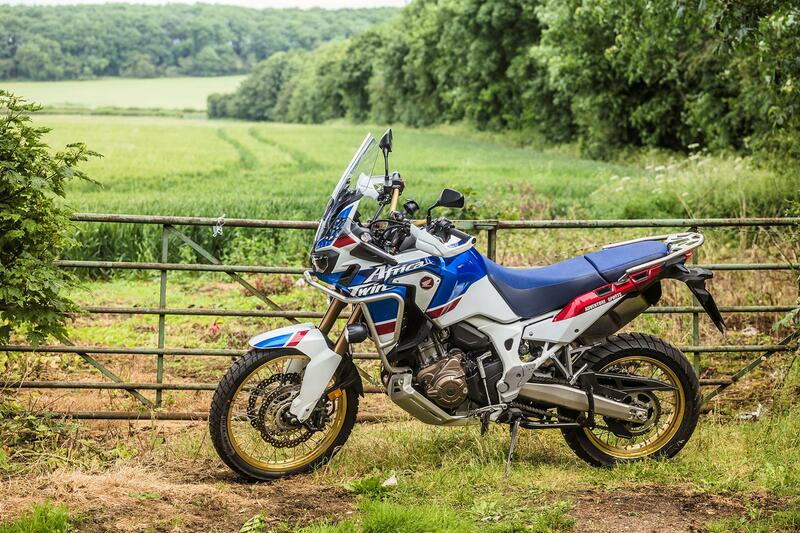 The Honda Africa twin can trace its DNA right back to the Paris-Dakar winning machines of the late 1980s. The XRV650, launched in 1988 was the first road-going version based on the hugely successful Honda NXR750 racer. Between 1990 and 2003 the Honda XRV750 was made in one form or another before a 12-year gap preceding the announcement of the 2015 model. 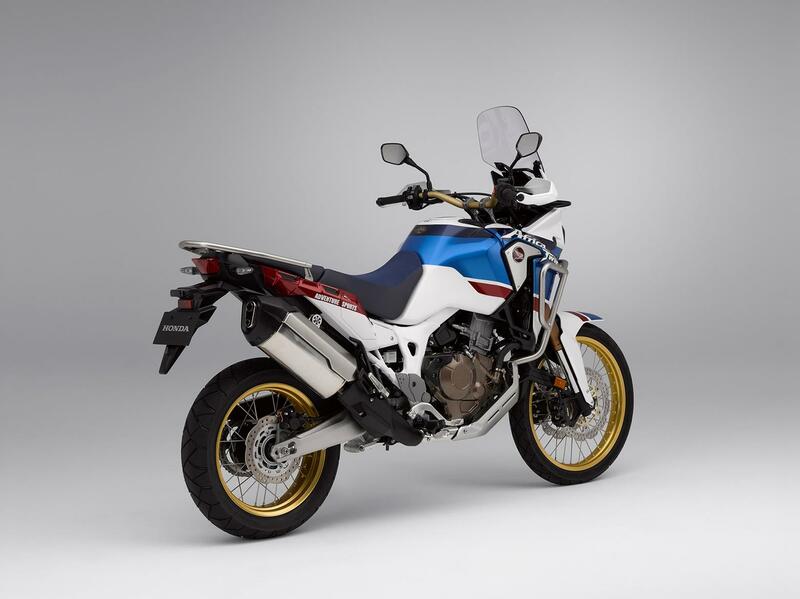 No owners have yet reviewed the HONDA CRF1000L AFRICA TWIN Adventure Sports (2018-on).